? The answer is not easy, so let's help ourselves with a practical application of exponential functions. 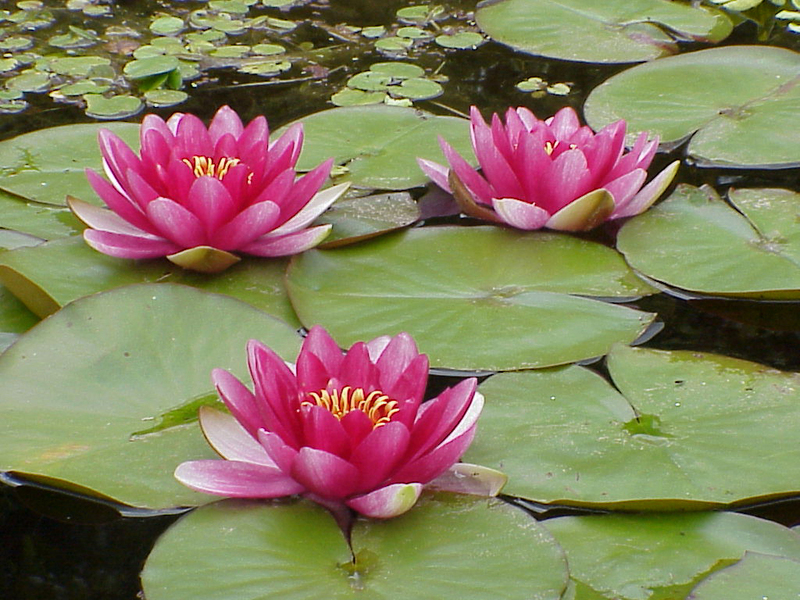 We will do it studying the behaviour of waterlily, the nice flower you can see below. 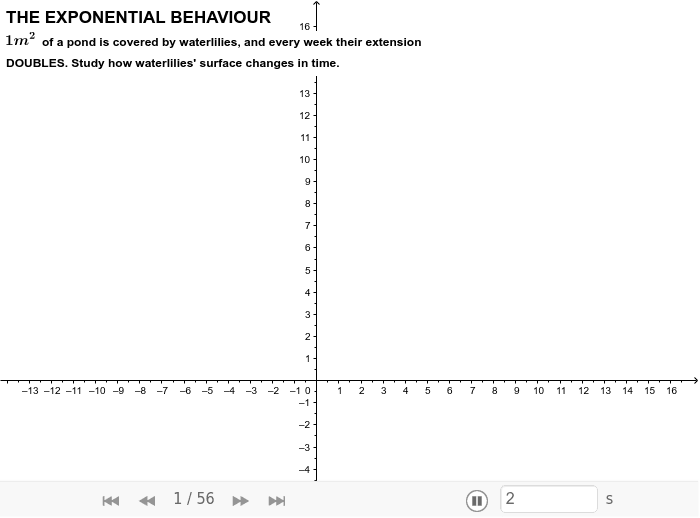 In the animation below we will discover that the behaviour of this plant, as supposed in the problem, can be described by an exponential function. 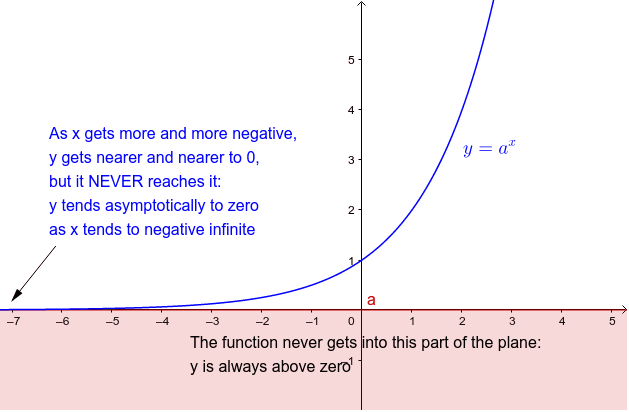 We will draw the function giving to the exponent the values we have studied until now. 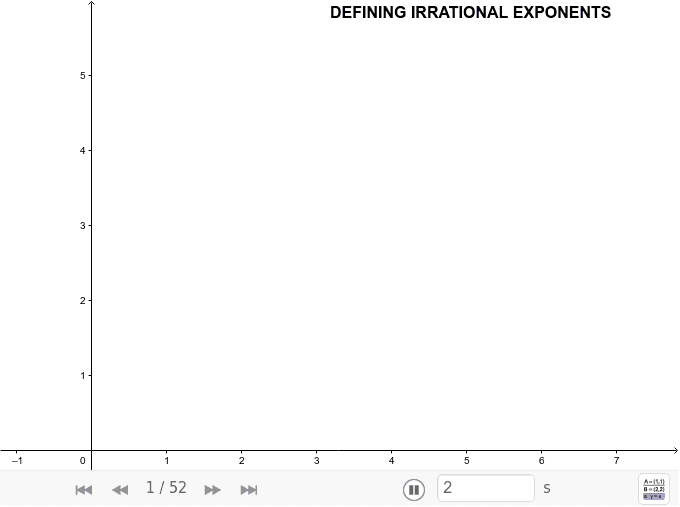 After the animation we will try to go further introducing irrational exponents. 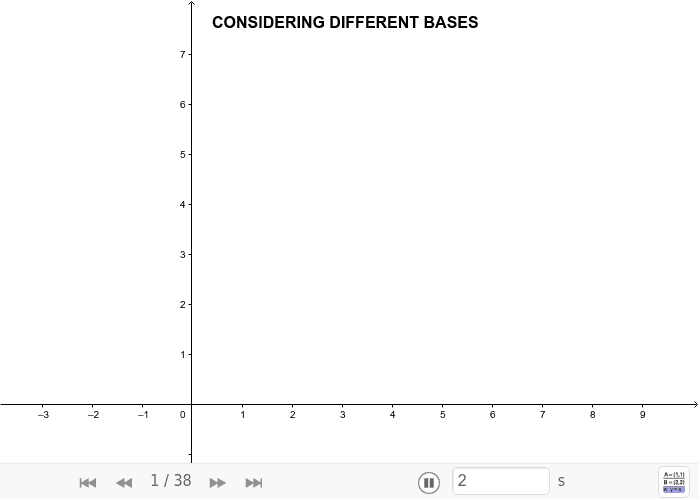 fractionary (rational) numbers, which proved to fit into the curve when evaluating the amount after a non integer number of weeks. weeks? The question sounds a little bit weird, and indeed it is. Nonetheless we will try to find an answer in next animation. axis. You can see this in next image.
. We see this feature in the next animation.